I think few people can deny that Yannick Zakri of AFAD Djékanou currently is the most interesting player in the Ivorian Ligue 1. AFAD Djékanou sensationally became number two in the recently finished Ivorian Superdivision (L1), meaning that the club will participate in the 2012 CAF Champions League. The Ivorian Superdivision (L1) consisted of six teams, the three best teams from “Poule A” and the three best teams from “Poule B” in the Ivorian Ligue 1. The participants in the Superdivision (L1) played a total of 10 matches. In these 10 matches, the 20-year old striker Zakri scored an impressive tally of seven goals. Zakri also scored two league goals during the 12 league matches in the “Poule B” in the Ivorian Ligue 1. In other words, Zakri scored a total of nine goals during a total of 22 official matches in 2011. I know that Zakri was a regular player for AFAD Djékanou but he did not play all 22 matches and he also made several substitute appearances. 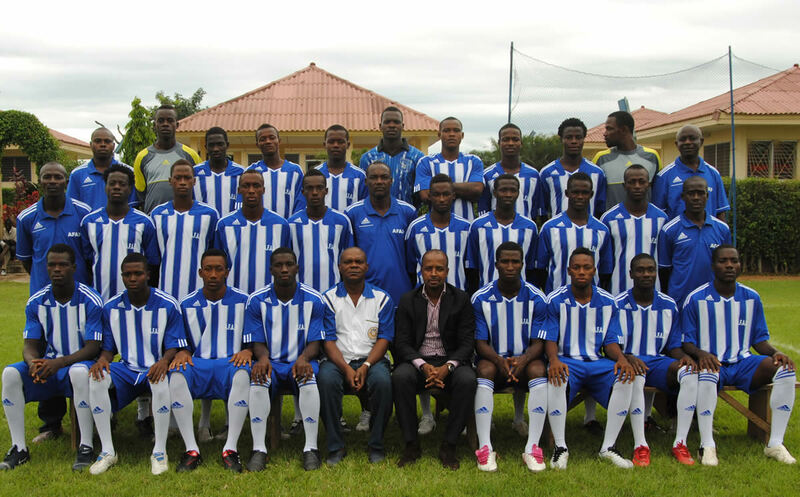 The 2011 season is the second season of Zakri at top level of Ivorian football. Zakri was pretty much a fringe player at AFAD Djékanou in the Ivorian Ligue 1 2010, scoring one goal during the season. Zakri is a versatile attacker, comfortable as a centre forward or as a winger, primarily as a left-winger. His understanding with the talented left-back Henri Joël Kouadio Konan (born 20.10.1993) has been wonderful. Jacques Anouma, the president of the Fédération Ivoirienne de Football, has his own webpage where he writes about the matches of AFAD Djékanou. It is easy to see that Anouma is a big fan of the exciting Zakri. Zakri has been described as a player with sublime technique, one of these players who is able to take on opposite’s defences on his own. He is also very dangerous when he is attacking from the left-wing, terrorizing full-backs with his speed and dribbles. Anouma has also pointed out that Zakri has an amazing timing, often being at the right place at the right time. A few days ago, Zakri was named in the squad of the Ivory Coast U-23 national football team. The squad consists of several professionals playing in Europe and this clearly shows that Zakri has reached such a high level that he is ready for bigger leagues. According to the Fédération Ivoirienne de Football, Zakri is born 26.03.1991. His full name is “Yannick Zakri Krahire”. His last name is sometimes written “Zakry”. The picture of AFAD is taken from www.afad.ci, the official webpage of AFAD Djékanou.